Adriaan writes very thorough reports with plenty of equations and clear drawings. 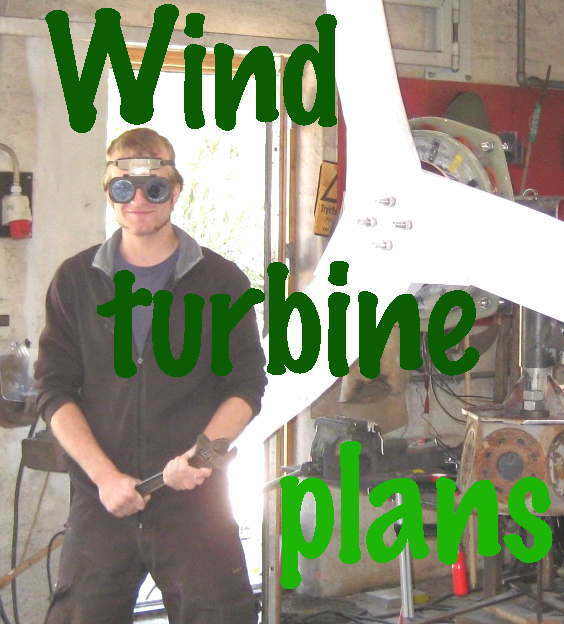 The reports cover both, electricity producing wind generators and also wind pumps. Adriaan has made a study of furling systems (that protect the turbine against excessive winds) which he calls safety systems. Report KD 485 gives a “rough description and the main characteristics of five systems” including the ‘inclined hinge’ system that I (Hugh) have used over the last 30 years. Adriaan himself favours a system called the ‘hinged side vane’, based on his computations and his experience. “I have now 25 years experience with my system and it works really nice if it has the correct geometry” he writes. As you can see it’s analysed in some detail. It’s very noticeable that Adriaan’s designs differ from mine in just about every respect, which goes to show that there are always choices, and never just one best way to do anything. (There are plenty of worst ways too!) He has done a lot of projects for the developing world. It’s great to have these documents available freely because normally they are quite expensive to buy, I believe. Please note that you will need to pay Adriaan for a license to use his designs though. 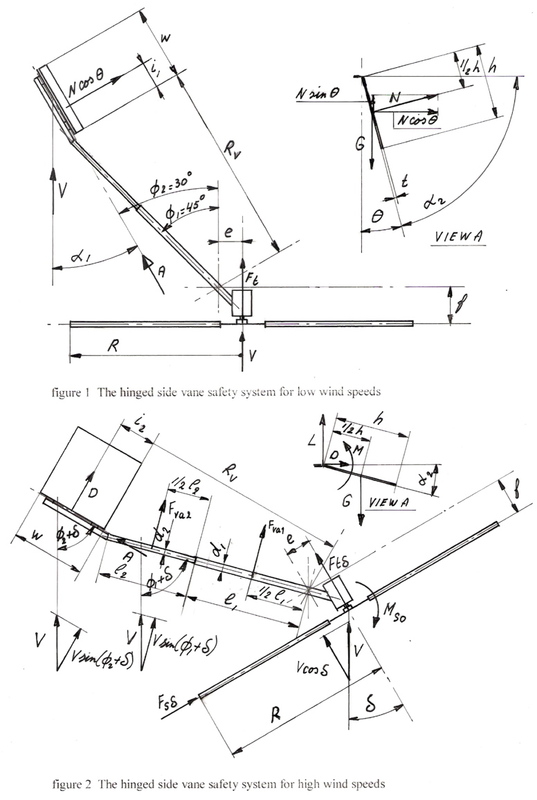 This entry was posted in Adriaan Kragten, Books, construction, developing world, People, wind systems tutorial. Bookmark the permalink.